In a new report, the editors at Internationalliving.com/au pinpoint three spots where Australians can retire on $30,000 a year, or less. In these friendly, good-value escapes—in Italy, Portugal and France—expat retirees find that their dollars stretch far. Old World Europe is home to stunning landscapes, fascinating cultures, rich history and iconic landmarks. Outside the big metro areas, retirees find all kinds of good-value options in Italy, France and Portugal. These are areas where the weather is good—so it’s easy to enjoy the outdoors—and where value is placed on good food, enjoying the arts and on a relaxed pace of life—none of which costs very much. Umbria, the region that lies between Rome and Florence at Italy’s geographic centre, has a seemingly endless supply of utterly charming towns and picture-perfect landscapes. Except for its lack of a coastline, Umbria offers everything that Tuscany does, but at a much more affordable price point. All told, retirees could have a pretty charming life in Umbria with a budget of $2,110 a month—$25,320 a year. The well-kept town of Todi is one of those appealing places that is big enough to have everything you need, but small enough to maintain a sense of community. Great food, great wine and Rome just 112 kilometres away—there always seems to be something going on in lively Todi: antiques fairs, festivals of music, dance and film. At the center of town is a piazza so perfect it almost looks as though it was made for a film set. Sitting above the Tiber River valley, Todi has maintained its agricultural economy. The valley is cultivated with grains, the hills with vines and olives. Thick Fiorentina steaks, game meats, and battalions of chickens slow-roasting over open fires are just some of the mouth-watering delicacies to be savoured here. Many European cities have been sought out by savvy expats in recent years. 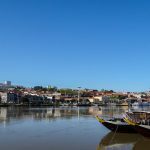 But what Porto offers is an enchanting combination of Old World charm and First-World convenience wrapped in a consummately affordable and attractive package. 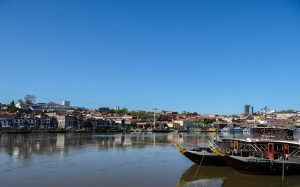 The second-largest metropolitan area in Portugal after Lisbon, Porto is located on the Douro River, where it flows into the Atlantic. The city centre is home to less than 240,000 people and has a small city’s feel and friendliness. But it’s also a thriving business hub with an international airport. For all Porto’s natural and architectural beauty, fine food and wine and pleasurable pastimes, it’s surprisingly affordable to live here—a monthly budget for a couple runs to $2,150 or $25,800 a year. The French Riviera city of Toulon—located about 45 minutes by car from Marseille and one hour east of the beautiful university town of Aix-en-Provence—oozes class on the Mediterranean coast. Surrounded on all sides by world-famous resort destinations like Saint-Tropez, Bandol, Cassis and Aix-en-Provence, Toulon is largely overlooked. And therein lies much of its charm. This not only means fewer tourists, but lower prices. The city is a secret haven for affordable South of France living. A couple can live a comfortable lifestyle in Toulon on a budget of $2,500 per month or $30,000 a year. Toulon is a vibrant city. From the multi-hued buildings, dating from the 18th century, which run along the cobblestoned rues (streets) of the historic centre, to the colourful characters you’ll meet debating the fine art of pétanque (bocce ball) at the local beaches, everything is expressed and lived to the fullest. The coastal city also has a thriving art scene. The Toulon Opera House dates from 1862, holds world-class productions every year and is famed for having some of the best acoustics in France.